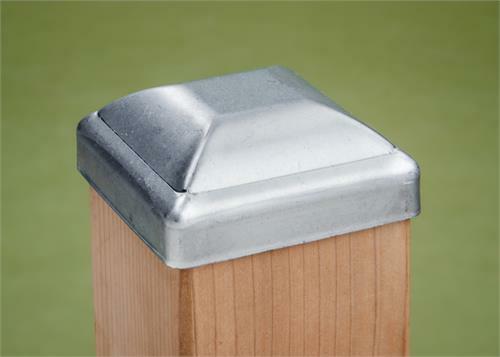 Home > POST CAPS > Standard Metal Caps > Aluminum > Standard Aluminum Cap 3-1/2"
Heavy-duty uniform aluminum press-on post cap. Helps keep your post tops from rotting. Will fit a 3-1/2" x 3-1/2" post. Actual Dimensions: 3-5/8" x 3-5/8" x 1-1/4" H.